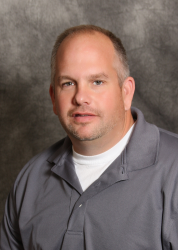 Sean has been a licensed agent serving Elk River and the surrounding community since 1990, as well as an office in Winsted, MN that he purchased in 2014. He is a licensed agent in Minnesota offering auto, home, business, farm, and life insurance. Sean has the experience and knowledge to offer all of his clients the most comprehensive coverage at an affordable price. Prior to partnering with Atlas in 2015, he was the original founder of North Central Insurance Agency in Elk River MN, which he sold in 2001.